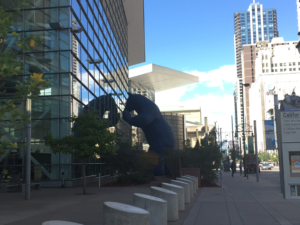 The International Biogeography Society Biennial Conference is one of my favorite meetings to attend. These conferences consistently profile outstanding and cutting edge science, opportunities to interact with a set of colleagues that I don’t have the opportunity to see at my paleontology-centric conferences, and interesting destinations to explore. This year’s conference in Tucson hit the mark in all areas. 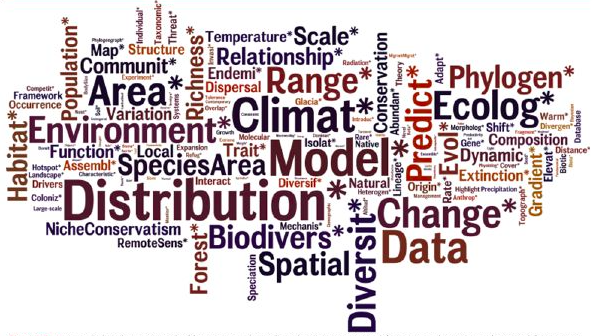 A key strength of IBS conferences is that they are fundamentally a celebration of diversity in many ways: diversity of approaches ranging from molecular to big data and ecological to phylogenetic frameworks; diversity of focal ecosystems and taxa; diversity of temporal lens from modern to deep time; diversity of nationalities and cultures; diversity of genders and identities. This diversity makes the scientific contributions and opportunities so much stronger. Developing such a diverse conference is not a coincidence, the IBS board and meeting organizers actively work to promote scientific and culture diversity. And the dedication and hard work pays off. For example, someone like me, who studies paleobiogeography of marine life from 400 million years ago feels at home with colleagues studying geographic structure of genetic variation in modern tree species. From my perspective, two aspects of this year’s IBS conference particularly struck me: the increasing inclusion of a deep time perspective and fossil data and increasing recognition and participation of women in biogeography. Each of the symposia featured at least one talk involving paleodata. The “Modeling large-scale ecological and evolutionary dynamics” symposium featured paleo data in nearly every talk and showcased a wide range of paleo data from historical records to the Pleistocene. Contributed sessions, posters, and mini-talks also prominently focused on the relevance of paleodata, including analyses that employed Paleozoic data to address questions relevant to modern biodiversity concerns (abstract book here). Geologic and paleontological data, particularly the breakup of Pangaea and the waxing and waning of the Pleistocene ice sheets, have long been incorporated in biogeographic analyses. What was exciting about this meeting is the fact that paleodata beyond those two cases are being employed and being employed broadly within the field in many different contexts ranging from species distribution models, quantifying community functioning and species richness processes, and calibrating projections of biotic impacts of future climate changes. Rising above this pervasive paleontological mist was the fact that the winners of the MacArthur & Wilson and the Alfred Russell Wallace Awards, Jessica Blois and Margaret Davis, are paleobiogeographers, which further underscores the significance that the field ascribes to research emphasizing fossil data. Both awardees are also women, which leads to my second point. 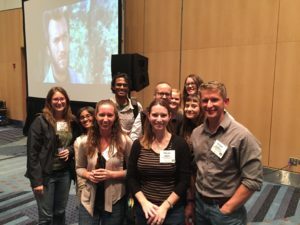 This meeting celebrated the accomplishments of outstanding women in biogeography, like Jessica and Margaret, and at the same time acknowledged and celebrated the additional hurdles and barriers that were (and still are) faced by women in science. Steve Jackson, in his citation of Margaret Davis, provided a wonderful discussion that contextualized some of the hurdles that Margaret faced as the sole women in pollen analysis, the significance of her indomitable spirit, and the inspiration she has provided to others. Today, women are not usually alone in our departments or subdisciplines, but we and members of other underrepresented groups still face obstacles, additional requests on our time as token representatives, and implicit bias in reviews and in other contexts. 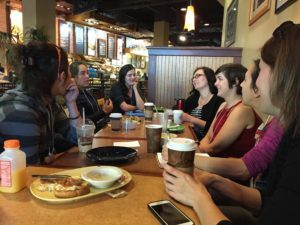 But meetings like IBS, where a group of women met at 7:30 am over coffee to discuss shared issues and plan a support group and where we have lunch mentoring groups that discuss early career issues, provide clear and positive steps forward. 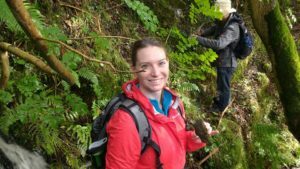 Women have been leaders in biogeography for many years, as evidenced by the Margaret Davis’s well deserved Wallace award, and women are poised to continue leading and innovating, as evidenced by female students winning 3 of 5 poster awards. I ended the conference by raising my glass with a group of a dozen female paleobiogeographers. For me it was a fitting end to a conference that celebrated diversity of science, of timescales, and of individuals. 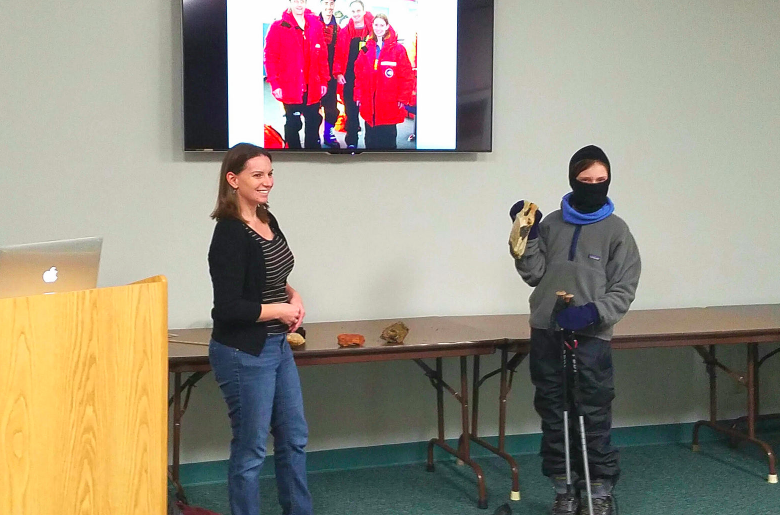 Although it’s a bit cold during a (typical) Ohio winter to do a lot of field-based outreach, I try to keep busy with indoor outreach opportunities. This winter, I’ve been working with kindergarteners, grades 4-9 science teachers, and a nearby public library to communicate the importance of understanding Earth’s history. 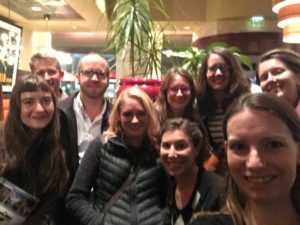 I usually forget to take photos (which makes a less interesting blog), but I thought two events this winter were worth mentioning on the lab blog anyway. #1: Continuing our year-long SIPLAS program (see earlier post), I was able to lead a lesson plan on understanding climate change data, decoding fake scientific news stories, and accessing government climate data with our grades 4-9 teacher group. My colleague, Danielle Dani (the science education faculty member), did a great job leading off with a provocative question about whether the EPA should establish CO2 emissions targets which allowed the participants to immediately grasp the real-life link between themselves and climate science. Then we plotted sea ice and snow cover extent data from NOAA and used that to exams and debunk a fake news article. * It felt really great to be able to help this really super group of teachers develop stronger skills to cope with teaching a facts-based, strong science curriculum. Such tools are increasingly important given the dramatic anti-science rhetoric coming from the current administration, and it is imperative that professional scientists of all types develop closer ties to the public and increase our outreach during this difficult times for our nation. It is critical to the next generation understands the promise and importance of a scientific understanding for climate, medicine, and pollution to protect and preserve our quality of living and environment in both the short and long term. *Thanks for Brad Deline for sharing an earlier version of this exercise. An example of scientists collaborating for the greater good! 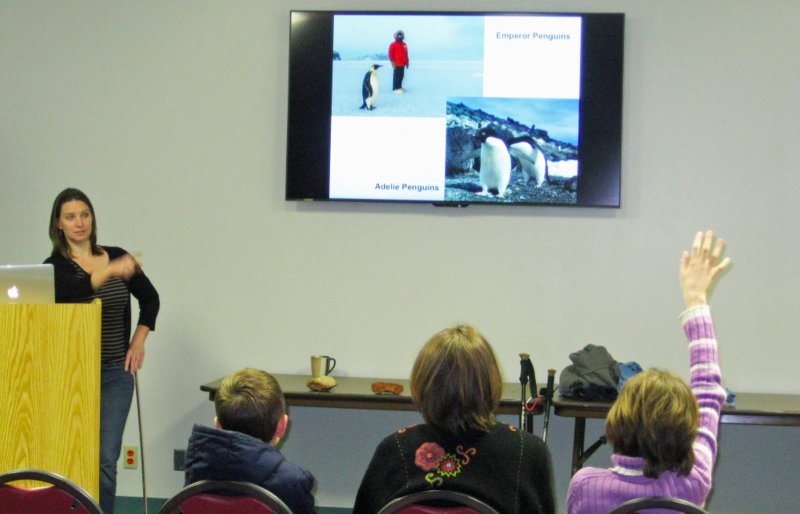 #2: I gave a public program about my Antarctic research for The Plains Library (The Plains is next town north of Athens). Sure, I conducted that field work in November-December 2004, but stories of adventure and intense field conditions paired with really cool scientific results never really gets old. Seriously though, the combination of discovery, adventure, and hypothesis-grounded science really is a slam dunk for outreach. 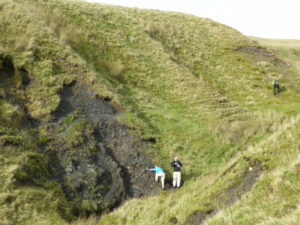 Most geologists have some great fields stories that can be worked into outreach is a really positive and effective way. In the case of my group, they were enthralled by the natural history of penguins (which had nothing to do with my primary research, but is a great way to discuss how climate change impacts species people care about), how to survive in subzero conditions (a really fantastic young woman even modeled my Antarctic gear as part of my explanation of our clothing), and the realities of camping on the ice (such as returning all recyclables and solid waste –even human–back to the US for disposal). I was also able to roll in plate tectonics, fossil preservation, and even a sidebar about local rocks of The Plains. Overall, it was a fun event, mostly because the audience was so interested and asked such great questions. Most of the pre-adult group were girls, who had awesome questions. Their parents had to drag them out of the library at the end of the evening. And that is awesome–girls so excited about science that they don’t want to stop talking about science. It is imperative that professional scientists spend time sparking interest about what we do in young people. And it is critical that we have ALL types of scientists: women and men of all races, cultures, and identities interacting with the public. It is hard to imagine that you can be a scientist without ever seeing anyone like you in science. So we need ALL of us showing ALL of our society that together we can be stronger, we can improve our understanding of the world in which we live and we can innovate for a better tomorrow. I am extremely pleased to announce the latest paper from my research group. This is a review of Biotic Immigration Events, which we term BIMEs, in the fossil record focusing on the ecological and evolutionary impacts that fossil large scale invasion events. We consider examples from the Ordovician through Cenozoic in both marine and terrestrial systems. The fossil data supports a two-phase diversity cycle in which the immigration event itself reduced speciation and causes faunal homogenization; whereas the subsequent basinal isolation is characterized by increased speculation and diversity accumulation at multiple levels. We think this model has great potential as a null model to compare and contrast diversification patterns in the fossil record. Perhaps my favorite part of this study, though, was working with Adriane, Davey, and Jen–former students that are now talented early career paleontologists in their own right. My colleagues and I recently published a horizon scan, a review of the current state of the field, of modern biogeography based on the International Biogeography Meeting held in Bayreuth, Germany in 2015. Some of the key threads in this paper are the increasing prominence of large databases, integrated analyses, and inclusion of paleodata. It’s great to have this paper out, and just in time to revisit this concepts and explore how the field has changed at the upcoming International Biogeography Meeting in Tucson, Arizona next month. It is difficult to describe this year’s GSA meeting in Denver. Overall, it was a great meeting, full of the usual pride in my students’ accomplishments, joy of reuniting with colleagues including many Stigall Lab alumni, nervousness about my own talks, and thrill of learning about the newest developments in the science of paleontology. But I will always remember this meeting for the Paleontological Society banquet. The Stigall lab was busy presenting cutting-edge science on a wide variety of topics. 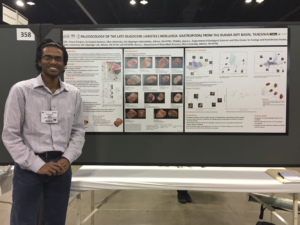 Current MS students Ranjeev Epa and Nilmani Perera gave excellent poster presentations about Oligocene freshwater gastropods from Tanzania and Pennsylvanian marine community ecology of Ohio, respectively. Recent alumnus Sarah Trubovitz gave a talk about her MS work on Ordovician brachiopod paleoecology, and I spoke about the importance of alternating dispersal and vicariance regimes in biodiversity accumulation. We had a great Stig*Allstars (=name my alumni gave themselves) dinner to kick off the meeting. Getting together with this talented group of former students turned colleagues is always a highlight. They are doing such amazing work as PhD students and early career scientists. I’m so very proud of them and excited to see where their careers will go. This year’s GSA, however, was really special as I was awarded the Charles Schuchert Award for Excellence and Promise in Paleontology from the Paleontological Society. This was the 45th time the Schuchert Award has been presented. It was only the 5th time that a woman received the award, and the first time a woman with children was the recipient. 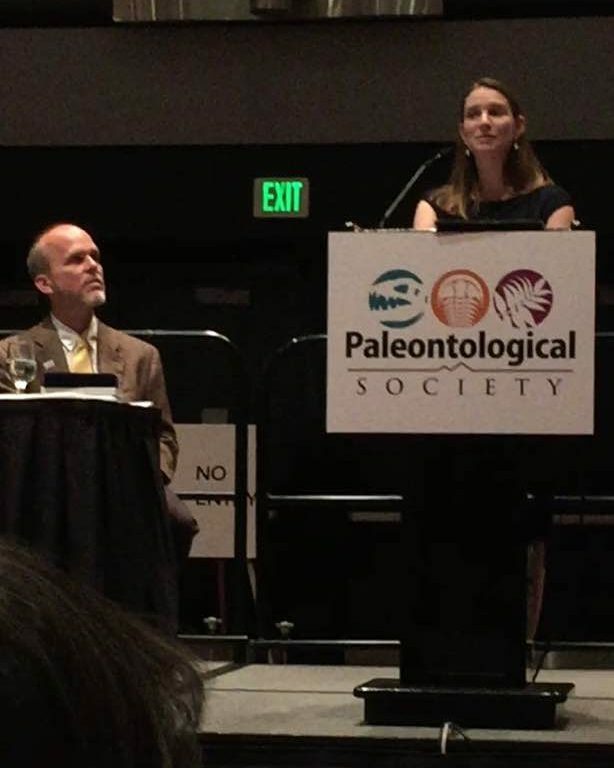 After receiving the award from the Paleontological Society president, Steven Holland, I was honored to be able to give a short acceptance speech to the nearly 400 paleontologists gathered at our annual banquet. I focused my remarks on the challenges to women and minorities in paleontology alongside the standard series of thank you’s. This the first time that increasing participation has been addressed specifically in an award speech, and I felt both very compelled and nervous about making these comments. I am very glad that I did! Continuing to engage in conversations about women and minority challenges are very important for continued progress in our (or any) discipline. 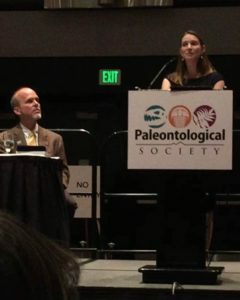 The full text of my speech is below, and it will eventually be published in the Journal of Paleontology. Thank you, Bruce, for your generous words. I deeply thank the Paleontological Society for recognizing me with this honor. I truly am very grateful and humbled to be selected as the 2016 Schuchert Award recipient. As a brachiopod worker from Cincinnati, the Charles Schuchert award holds special significance to me. I am also deeply honored to now be included among the prestigious set of 44 prior awardees. It is particularly gratifying as I am only the fifth woman to receive this award, and first woman who was a mother at the time of the award. I am extremely thankful to be a paleontologist today. Paleontology is becoming an ever more inclusive and collaborative science. As I look out from this podium, I see a wonderful diversity of paleontologists –diversity of scientific approaches, diversity of focal taxa, diversity of gender, diversity of ethnicities and nationalities. Our diversity makes our discipline stronger. However, barriers to full and equitable participation in science for women and minorities remain considerable. Implicit bias, higher expectations, under recognition, harassment, and isolation remain substantial concerns. As a society and as individuals, we are taking positive steps to increase dialog, foster support groups, promote awareness, and tackle our own inherent biases. Like all women who continue in science, I have overcome such challenges in my career, but tonight I stand here excited and optimistic that the future of our discipline will be one of ever increasing inclusion. I would not be here tonight without the support of my family, colleagues, and friends, and I’d like to take the rest of my time to recognize some of them. First I must thank my parents. As teachers, they have been steadfast in their support of my love for learning, rocks, and fossils. When I was a child, they took me to national parks in 47 states, they accompanied me to rock and mineral shows, gave me a copy of a 1962 Golden Guide to Fossils, and allowed me to disappear into the nearby stream to hunt fossils for hours at a time. Those early experiences surrounded by loving support gave me the confidence to truly pursue my goals and dreams. As an undergraduate at the Ohio State University, I had the amazing good fortune to learn morphology and systematics (with a Swedish accent) from Stig Bergström who taught me the importance of deeply understanding a clade and of adopting promising new approaches during one’s career. Loren Babcock instilled in me a sense of boundless enthusiasm for prehistoric creatures. And Bill Ausich taught me how to be an excellent scientific citizen, the importance of loving your clade, and above all pursing excellence in science. I am so thankful for the enduring support of Bill and Stig, which has been instrumental in my development as a scientist. 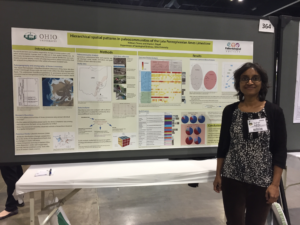 I graduated from OSU with a career goal to resolve early arthropod phylogeny–but quickly reoriented my research interests to studying the complex impacts of biogeography and ecological change on macroevolutionary patterns. In graduate school at the University of Kansas, I worked on phyllocarid crustacean phylogenetics of my master’s thesis, but rapid realized the limitations of working on uncommon fossils for my research agenda. So I shifted my focal taxon to rhynchonelliform brachiopods, and I haven’t look back. (Although I greatly enjoy working with conchostracans from time to time) Brachiopods are truly awesome. Throughout graduate school, Bruce Lieberman was amazing mentor in every dimension of the word. He taught me how to construct a project, how to succeed in publications, and the importance of perseverance. Even beyond graduate school, Bruce’s promotion of my career has been immeasurable, and I thank him very deeply. In my twelve years at Ohio University, I have been privileged to work with very supportive colleagues in our Geological Sciences department, an immensely talented set of paleontologists sprinkled across campus, and fantastic collaborators in the Patton College of Education. Working in a department with the master’s as our terminal degree offering, I’ve had the distinct pleasure of working very closely with each of my graduate students. My greatest scientific joy has been mentoring and encouraging my students—now numbering 13—as they develop from scientific novices to confident, accomplished scientists conducting research publishable in top journals. I am very proud of them, and certainly wouldn’t be standing here before you tonight without this exceptional group of students turned collaborators, many of whom are here to support me tonight. Although I did not know many women paleontologist as a student, I have benefitted greatly from knowing and learning from many amazing women as a professional. In particular Margaret Fraiser, Sandy Carlson, Brenda Hunda, Lisa Park Boush, Dena Smith, and Peg Yaccobucci have been co-conspirators and role models in various ways. I thank the women who trailblazed in the cohorts ahead of mine, and I am greatly inspired by the women in the junior cohorts behind me. I also thank my colleagues outside of this room. 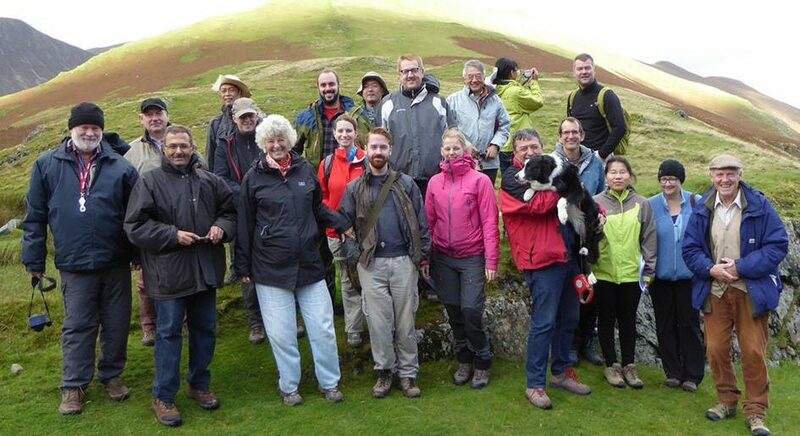 My approach to science has been considerably broadened and enriched by collaborations with modern biogeographers and ecologists as well my international colleagues with whom I’ve studied fossils on all seven continents. Finally, and most importantly, I must thank my husband, Dan Hembree, who has been my partner in this journey since our first day of graduate school at Kansas. He has always believed in me, even when I did not. His friendship, laughter, encouragement, and discussions have made my science and my life so much richer, and I can’t imagine either without out him. Lastly, our children Max and Josie make everything awesome. It has been invigorating to re-explore the wonders of fossils through their young eyes. 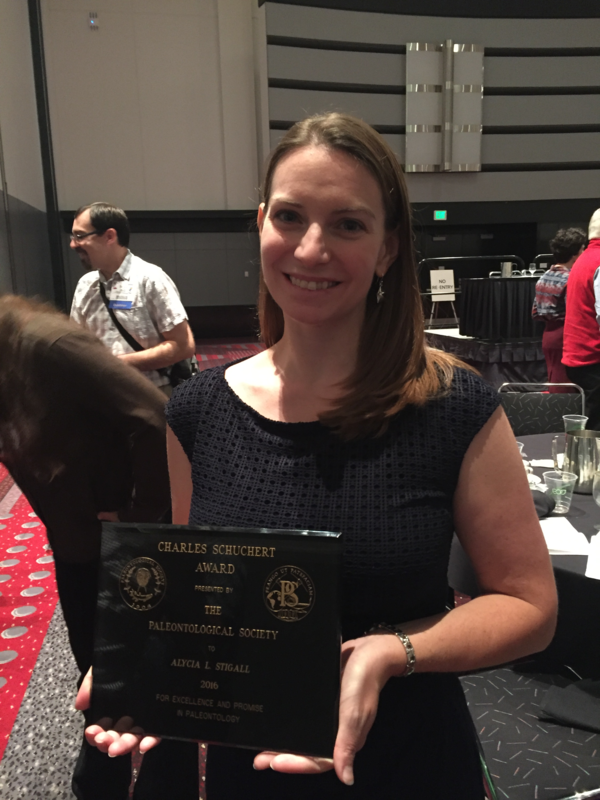 Thank you again, to the members and Council of Paleontological Society for this recognition. I will strive to fulfill the promise inherent in this award and serve our community well in the years to come. 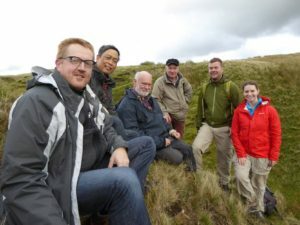 Our new IGCP Project 653: Onset of the Great Ordovician Biodiversification Event formally kicked off with our opening meeting at Durham University in England at the end of September. It was a really fantastic event, a small meeting with lots of time for lively discussion of topics such as “Just what is the GOBE?” and “When did it start?” and “How do environmental changes, such a decreased sea temperature, actually cause the process of speciation to occur?” and “Is the Dariwilian increase simply a brachiopod pattern or it is more general?” I am excited to explore these topics and more with my colleagues as the project progresses. My formal write-up and image gallery are over on the IGCP 653 website here. 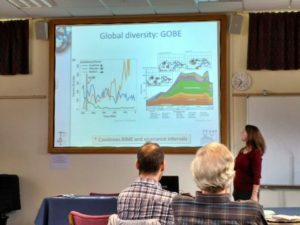 The opening meeting of IGCP 653: Onset of the Great Ordovician Biodiversification Event held September 25- October 1st at Durham University. 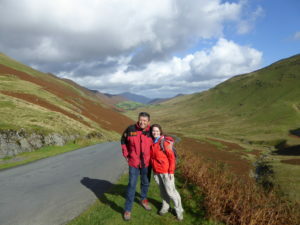 Dubbed “Ordovician by the Lakes” due to the proximity of the conference room to Van Mildert College lake and the field excursion to the English Lake District, participants certainly had plenty of water to contemplate both from the meeting setting and the Ordovician seas. 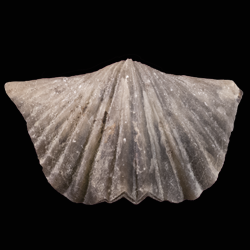 The final section of Jennifer Bauer’s MS thesis research, a substantial phylogenetic and morphometric analysis of the Late Ordovician brachiopod genera Eochonetes and Thaerodonta has (finally) been formally published in the Journal of Paleontology. Cliff notes version: most of the species previously referred to either genus belong within Eochonetes, Thaerodonta is not a valid genus, and some of the previously referred species don’t belong to this clade at all. Bonus fun: Jen named some new species including one for her amazing grandmothers and another for a character in her favorite book series. Just in time for GSA, an excellent new volume Species in the Fossil Record edited by Warren Allmon and Peg Yacobucci is now available. There are many excellent conceptual chapters as well as clade-specific overviews. It’s a worthy volume for anyone interested in macroevolution in general and/or systematics in the fossil record. My contribution synthesizes some of my work over the past decade. Stigall, A.L. 2016. Invasive species and speciation, p. 340-365. 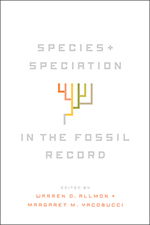 In Allmon, W. and Yaccobucci, M.M., Species in the Fossil Record. Chicago University Press. Publisher link. 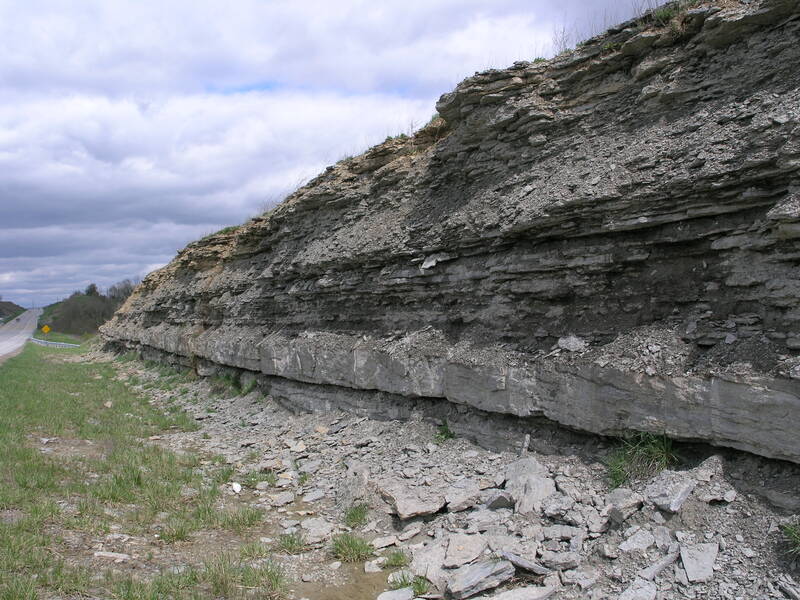 New Paleontology Minor at OHIO! I am so pleased to announce our new paleontology minor at Ohio University! Engaging in outreach and public education are very important to me personally. I participate in formal and informal public education in a variety of contexts, and it is honestly somewhat difficult to describe this work concisely. Working with a variety of groups ranging from kindergarteners and in-service teachers to amateur paleontologists, like the Dry Dredgers, and the public in general is really rewarding. My experiences comprise only a small subset of the ways that scientists engage and benefit the public from our work. 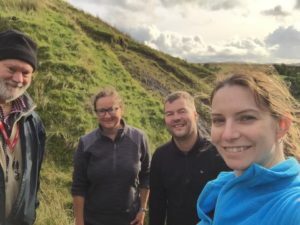 Most of my colleagues are involved with projects like podcast (like Palaeocast), website (here are some great ones: PaleoMap project, PaleoPortal), or media development (so many YouTube videos like this one: ). Others organize tremendously impressive efforts, such as the FOSSIL project and National Fossil Day. In general, scientists are approachable people who LOVE to talk about their research and teach others about science in general. I invite you to get to know a scientist in your region!